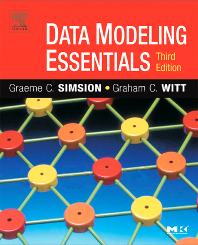 Craig Mullins ( @craigmullins | blog ) has written a post about how data modeling supports metadata management and therefore better IT systems. You may know Craig through his evangelism about DB2 and Database Administration. It’s always good to see people on the more technical side of data management (databases and technology) appreciate and support data modeling efforts. You should read his whole post, then leave him a comment. 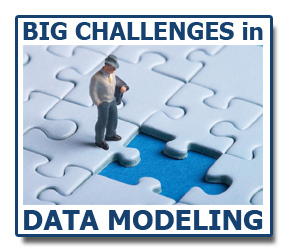 I’ve recently taken over director moderator duties for the monthly Big Challenges in Data Modeling webinar hosted by Dataversity.net. Former moderator, Graeme Simsion, has moved on to exciting things in the writing and film industry, so I’m stepping up to take on the role of agent provocateur in engaging the data community to chat and debate about industry and academic trends in the data world. Joining me will be a great cast of characters team of experts in data management as we chat about the paper and how these things have changed over the years. We run a fun and engaging webinar where audience members can chat with each other and the panellists, so you get to be part of the insight and fun, too. So make sure you join a bit early so that we can pre-chat. You need to register to attend.